Aetna has added 130,000 Medicare members since the beginning of the year, bringing Medicare Advantage membership to 1.5 million as of June 30. The Medicare Advantage program helped and hurt insurers reporting their second-quarter earnings last week. Aetna and Humana both reported that their respective Medicare Advantage books of business were bolstered by growth in Medicare Advantage membership. 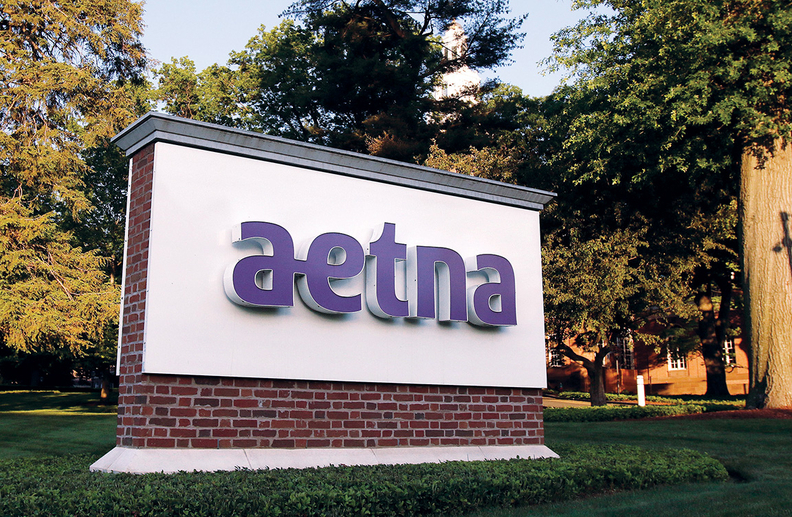 But Aetna posted lower revenue in the quarter, thanks to expected lower premiums and membership in its ACA individual and small group businesses. The Hartford, Conn.-based insurer grew Medicare Advantage premiums due to membership gains in the quarter ended June 30. Aetna's government programs continue to make up more than half of the insurer's total revenue. Still, Medicare Advantage growth wasn't enough to keep Aetna's revenue from sliding by 2.7% to $15.5 billion compared with the year-ago period. Aetna has increasingly relied on its Medicare products as its primary source of revenue. The insurer has added 130,000 Medicare members since the beginning of the year, bringing Medicare Advantage membership to 1.5 million as of June 30. In June, Aetna submitted bids to the CMS to expand its reach to 60% of the Medicare population in 2018, from 56% this year. Insurers are grappling with how to manage their government and indvidual lines of business, with mixed results. Meanwhile, Humana more than doubled its profit in the quarter as it brought in higher Medicare Advantage revenue and improved earnings in its individual commercial segment. After its proposed merger with Aetna died earlier this year, the Louisville, Ky.-based insurer turned its attention to improving and growing its Medicare Advantage business. Humana, which was hit last year with lower CMS Medicare star ratings, said it now expects 74% of its Medicare Advantage members to be in four-star plans or higher for 2018, compared with 37% in 2017. The improvement should help boost revenue and bring in a larger star ratings bonus, analysts said. In the three months ended June 30, Humana's Medicare revenue increased 3.3% to $10.5 billion compared with the year-ago period as it grew membership in that segment by 4.5% to 8.5 million members. The Medicare Advantage program did not help Cigna Corp., which is still recovering from government penalties assessed to its offerings. The insurer lost Medicare Advantage and Medicaid members, and membership from government programs slid by 18% in the second quarter. The CMS slapped Cigna with sanctions in January 2016, after finding major problems with the insurer's Medicare Advantage plans. The sanctions barred the company from marketing and selling its Medicare Advantage policies to new beneficiaries. Cigna was also hit with lower Medicare Advantage star ratings last October following a CMS audit. In June, the CMS lifted those sanctions. Cigna said Friday that it is actively enrolling Medicare Advantage members again and is "well-prepared for a very successful open enrollment this fall." The insurer also grew its membership in the individual insurance market by 82% to 334,000 members, including 244,000 on the ACA marketplaces. Still, Cigna said it expects to record a loss on those plans for 2017, though a smaller loss than last year. Cigna sells ACA exchange plans in seven states this year. Molina Healthcare faces bigger problems. A week after Molina announced it would lay off 10% of its workforce, the Medicaid managed-care insurer reported a $230 million loss for the second quarter. Long Beach, Calif.-based Molina told investors that it will restructure the company and exit marketplaces in Utah and Wisconsin to improve its operating performance and return to profitability. Molina, which fired its CEO and chief financial officer in May, said its poor financial results were driven largely by high medical-care costs.